During previous activities to mark International Women’s Day on the 8th March much focus was rightly given to a range of themes. 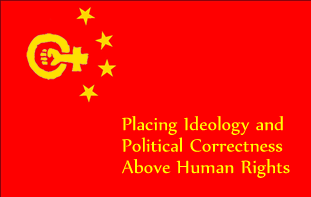 Unfortunately absent from the orchestrated championing of women’s human rights has been any prominent exposure concerning communist China’s treatment of women, and in particular its coercive population-control program. This year’s program looks likely to again ignore China’s sate engineered violence against women, indeed the only visible reference to China on the International Women’s Day website is a trumpeting that this day is a Chinese national holiday, hardly a cause for celebration given the harrowing reality of China’s targeting of women for forced sterilizations.These atrocities grossly violate the principle of freedom of choice and a woman’s right to control over her own body. 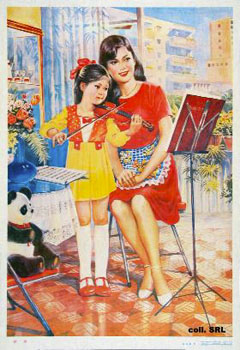 In occupied Tibet, East Turkestan, Southern Mongolia, Manchuria and communist China women are denied these freedoms and subject to the dictate of a male-dominated regime that inflicts a series of draconian penalties; including financial/mental/physical coercion, forced sterilizations and forced abortions. The extent of these state-engineered abuses is staggering, yet the collective apathy from the women’s movement is puzzling and alarming. Imagine the response if just one woman was dragged from her home in Washington DC, Paris or London, beaten, tied to a medical slab and forcibly sterilised. There would be riots on the streets and rightly so! Such barbarity is a central element in China’s population program and has traumatised countless women across the communist Chinese Empire and yet all we have from the concerned sisterhood is silence! How can supposed feminists claim to be genuinely concerned about human rights and yet ignore or deny the plight of women subject to this brutality? What possible motivation or reasons may begin to understand such a troubling position? We must firstly discount any absence of evidence or testimony, as a wealth of detailed documentation has been assembled over the years, and material continues to emerge. 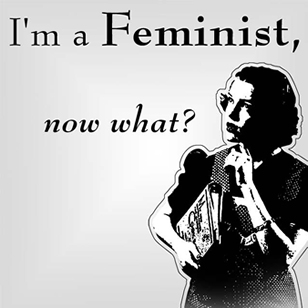 Much of this has been made available to a number of women’s organisations, yet the indifference remains. Faced with years of in-action and fudging from women’s groups it seems we dealing, not with an absence of evidence, but a singular lack of integrity. On an individual emotional level this is indeed an appalling subject and perhaps too horrific for some, better perhaps to pretend its not happening? For others not softened by such humanity it would appear that reducing global population levels is worth any price, including human rights violations (even the devastated lives of women across Tibet, East Turkestan and Communist China). Perhaps others may hold all things Chinese, or socialist, in fond regard and so shunt any inconvenient or odious manifestations of that culture or dogma into a siding, far away from any prying conscience. It appears easy for some, driven by their chosen world-view, to exclude any fact, which may destabilize a perspective that places economic rights above other freedoms. Surely all are equal and interdependent? Consideration should also be given to the health of bank-balances, which for some women’s organisations may well have prospered considerably. As the saying goes ‘Silent Mouths Stuffed with Gold’ and one can only wonder to what degree the cynical and adamantine silence which has surrounded this issue is explained by merciless self-interest. Whatever the reasoning, this issue lies at the sensitive core of feminist ideology, touching, as it does, on freedom of choice and women having control over their own bodies. Such fundamental rights do not exist under communist Chinese rule, the state’s needs are seen as greater than those of the individual. It’s nearly eighteen years since delegates arrived in Beijing for the UN Conference on Women, fuelled by the noble vision of furthering women’s rights. Yet during that time the systematic abuse against women has continued, making a mockery of the recommendations and agreements of the Platform for Action and Beijing Declaration. We were assured by the massed ranks of women’s groups, who attended, that active engagement with the Beijing Conference would help moderate the grim excesses of China’s totalitarian machine and improve the plight of women. As predicted by those organizations which boycotted the event the violations resulting from the program remain; forced sterilizations, torture, arbitrary arrests, forced abortions and infanticide. However abhorrent this harrowing human rights issue, what is equally offensive is the cold-blooded response, which is shared by a considerable section of prominent women academics, campaigners and organizations. In remaining silent on the plight of Muslim-Uighur, Tibetan and Chinese women their inaction attracts the charge of complicity in a deliberate effort to conceal these atrocities. Unlike the US Senate, Amnesty International USA,Congressional Committe on China, the British Medical Association, UK Parliamentary Foreign Parliamentary Committee and many other leading human rights groups and individuals, such as Dr Harry Wu, all of whom have acknowledged and condemned theses violations, many women’s organizations seem unwilling to engage this issue or campaign in support of their ‘sisters’. The traumatised women of East Turkestan, Tibet and communist China have little to thank them for and no reason to look forward to International Women’s Day. It is unbelievable that the rights of Chinse and Tibetan women are ignored.